Passed on November 30, 2018, at age 65. Beloved wife of Loren Phillip Ritacca. Dear sister-in-law of Tina and Louis (MaryAnne) Ritacca. Further loved by other relatives and friends. Carolyn was an extraordinary person with an array of accomplishments. She was a Smith College graduate and complimented with a breath of learning. 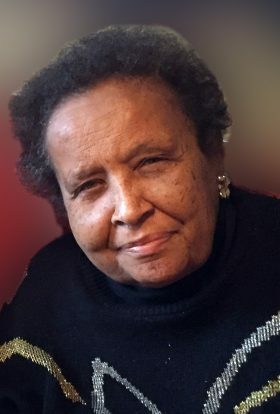 As an author and educator, she taught at the University Wisconsin Milwaukee for many years. Carolyn was a developmental specialist and grant writer who successfully raised funds for many nonprofit and for profit organizations. Her great love for music and teaching motivated her to create and direct musical traveling roadshows about the oneness of the human family and to participate in several choirs. Her religion, the Bahai Faith, was at the core of her life and embodied her life philosophy. She served her faith for many years in various capacities including a traveling teacher in Europe, Africa and the United States. Carolyn was an assistant to the Auxiliary Board , a member of the Metro Milwaukee Training Institute, and a member of several local spiritual assemblies. Her brilliant mind, excellent character, broad knowledge base and charming personality benefited many a soul. Gathering at Wisconsin Memorial Park Chapel of the Chimes, 13235 West Capitol Drive, Brookfield, on Sunday, December 9, 2018, 2:30 PM – 3:30 PM. Memorial Service at 3:30 PM. Burial at Wisconsin Memorial Park on Monday, December 10, 2018, 11:00 AM. In lieu of flowers, memorials appreciated to the family, in care of Informed Choice, 2247 South 108th Street, Milwaukee, WI, 53227. Be the first to share a memory of Carolyn.